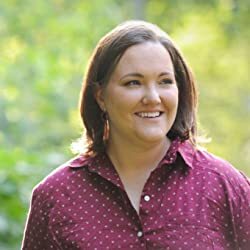 We're delighted to have Adrienne Kisner stop by to chat about her debut novel, DEAR RACHEL MADDOW. Adrienne, what was your inspiration for writing DEAR RACHEL MADDOW? For years I thought a YA version of DEAR MR. HENSHAW would be cool, particularly written to a journalist. When The Rachel Maddow show debuted I thought, YAAAAASSSS someone write a book to this woman! But no one wrote the book I wanted so I figured I might as well do it myself. Main character Brynn suffers a lot of heartbreak. She reflects on what each loss means and spirals into herself. I felt like such a jerk doing that to her. I burst into tears in the middle of the Boston Public Library writing a scene near the end. But Brynn’s also really funny. In my daily life I’m not really one to swear (SEE MOM, I’M A PROFESSIONAL), but Brynn just lets every vulgar thought in her head fly. That was a lot of fun to write. Hmmm. Well, I can tell you books that resonated with me, and that I would like to proselytize as much as possible. Nic Stone’s DEAR MARTIN is brilliant, and I shove it into my students’ hands whenever any of them stand still long enough. Jennifer Mathieu’s MOXIE is great for its civically involved, creative girls. Amy Spalding’s THE SUMMER OF JORDI PEREZ (AND THE BEST BURGER IN LOS ANGELES) is funny with tremendous heart. And Britta Lundin’s SHIP IT is a love letter to fandom and happy, hopeful endings everywhere. These books span topics and genre, maybe, but they all include characters I loved. A book about queer girl birdwatchers/nature photographers who reluctantly become environmental activists. For fans of kissing and bird-related puns. 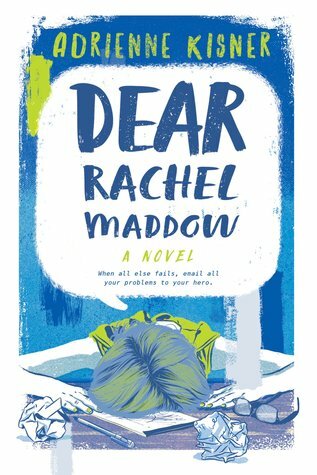 Have you had a chance to read DEAR RACHEL MADDOW yet? Are you a jerk to your characters? Have you ever made yourself cry in a public place while writing? Share your thoughts about the interview in the comments!